Coordinate everyone getting together (sponsoring pre/post concert receptions, Homecoming tailgates, and events at Villanova’s Reunion Weekend). Organize the bi-annual Legacy Society Weekend. 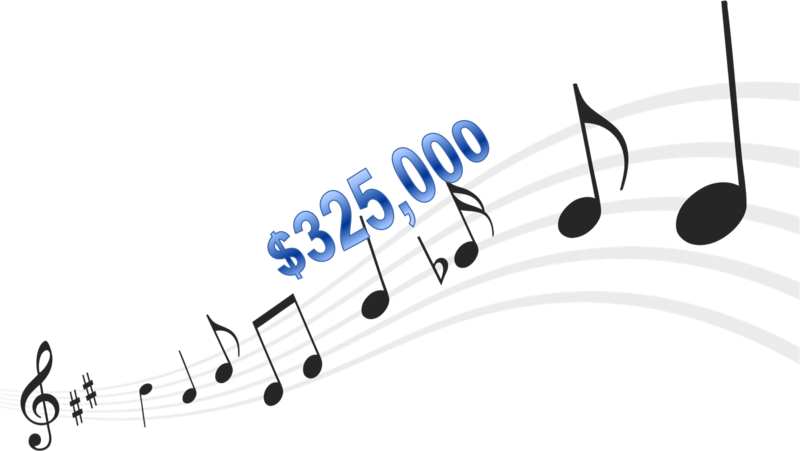 Provide funding for domestic touring through contributions to the Villanova Singers Endowment Fund. Promote concert tours by region with alumni. Provide career mentoring and networking. Connect “Brothers in Song” across the decades. 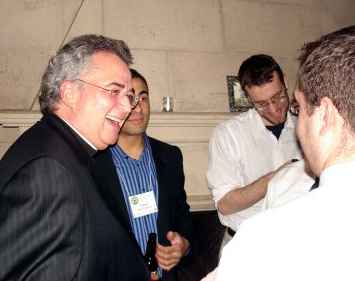 In 2006, Tom Bucaria ‘80 invited two Singers, Steve Guerrini ‘07, Alumni Director, and Brendan Reilly ‘07, President, to a party hosted by Bill Ippolito ‘72. 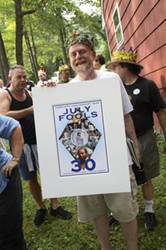 Many Villanova Singers alumni attended this annual event known as The July Fools’ Party. When the usual singing of Singers classics began, there was a problem: neither Steve nor Brendon knew the music for several numbers. Gasp! The gap, and the desired re-connection between the current and past generations of Singers, led to the Singers Legacy concept, designed to build bridges across seven decades of Villanova Singers. 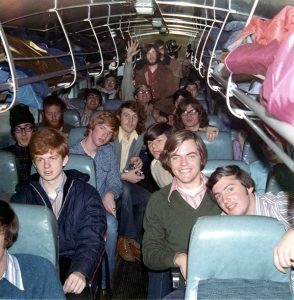 Bob Crowley ‘79 conceived the idea of organizing a “grand gathering of the Brotherhood.” Legacy was hatched. 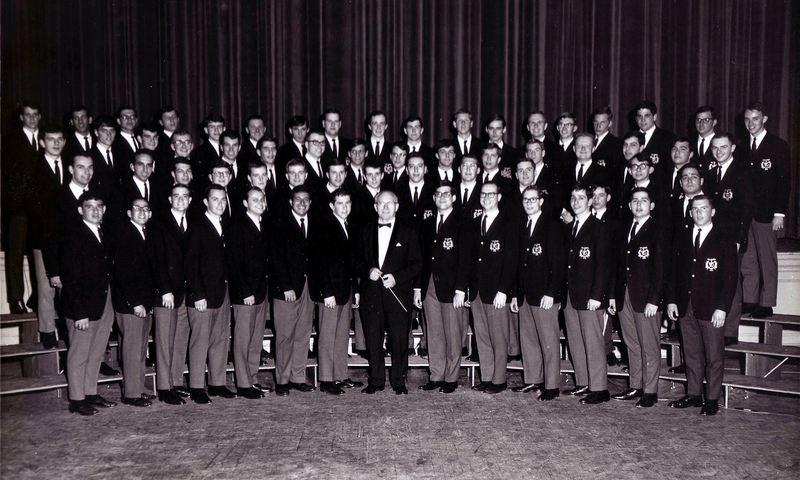 In March 2007, the first Singers Legacy weekend took place, with more than 150 Singers and 100 guests, including alumni from the 50’s, 60’s, 70’s, 80’s, 90’s, and 2000’s, plus the current Singers. Based on the remarkable feedback a second Legacy event was scheduled for April 2008. More than 200 Singers and 80 guests enjoyed a wonderful “Festival of Song.” The Perfect Union reunited, Spires past and present performed. Led by several past directors, the Singers performance of Brothers Sing On! was a tremendously moving experience, only bested by connecting with six decades of the Brotherhood. 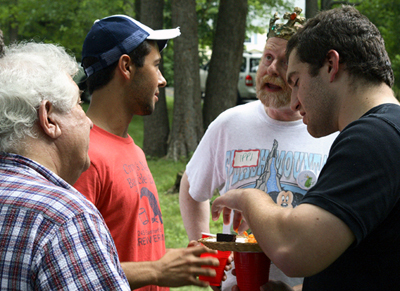 Since 2008, Legacy is held bi-annually on campus. 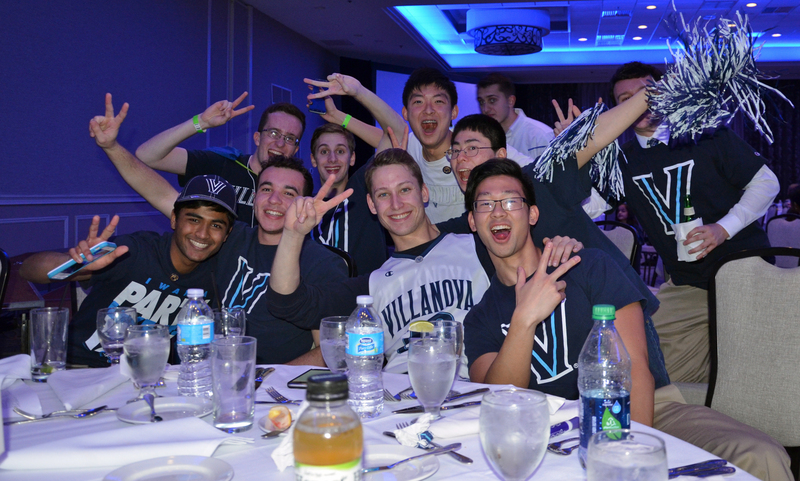 Cumulatively, thousands of Singers and alumni, their friends and family and Villanova faculty, staff and leadership have been hosted at the Legacy Weekends. The pervasive enthusiasm for the grand gathering of the brotherhood is demonstrable evidence of the powerful way in which the Singers impact so many lives. Learn more about who attends Legacy and other facts and figures. Lacking time and funds domestic touring, a cherished ritual of camaraderie, memories and stories of the road, all but dissolved for the Singers. 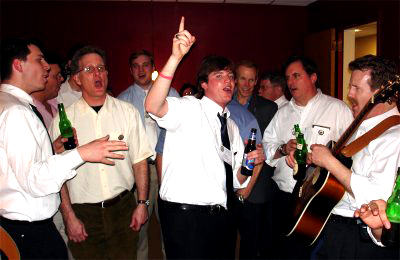 The alumni, disappointed, were resolute to right this wrong and the Villanova Singers Endowment Fund (VSEF) was established to revive Singers domestic tours. 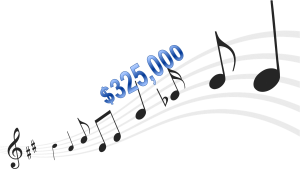 The VSEF was established in coordination with Villanova University, the Board of Trustees, and President Father Peter Donohue in order to provide a vehicle for Singers alumni to make donations specifically directed towards supporting Villanova Singers tours. 100% of the donations will go directly into the VSEF in perpetuity. In 2014 the scope of the VSEF was expanded to include funding for incremental activities including international touring and defraying operational costs of future Legacy events.